Making disciples and multiplying churches where Christ is least known. 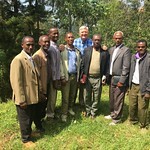 SIM Ethiopia Theological Education Ministries seek to prepare church and ministry leaders, as well as cross-cultural workers. 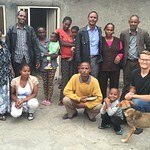 This ministry aims to see sexual purity practiced among the youth in Ethiopia. Los ministerios de educación teológica de Etiopía del SIM buscan preparar a la iglesia y a líderes ministeriales, así como obreros transculturales. Este ministerio apunta a ver que se practique la pureza sexual entre los jóvenes. TMany animistic pastoralists live in the lowlands, along the southern borders with Kenya and Southern Sudan. We hope to see a wave of disciple-making movements that will influence multiple peoples and flow over the borders to other related people groups. 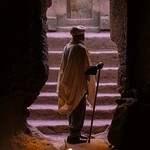 Thirty-four percent of the population of Ethiopia are Muslim peoples needing to hear the good news of the gospel of Christ: Somali, Afar, Argoba, Arsi, and other Oromo groups, Guragae, Kereyu, Borana, Silti, and others. 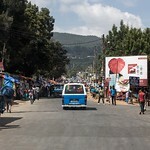 The people of Ethiopia are increasingly urban, educated, middle class, young, and connected ot the electronic world. At the same time, poverty continues to be a major issue. The urban population has increased to around 20 percent in this primarily rural country, and the rate of change is increasing. Pray for church planting movements among Muslim peoples (Somali, Afar, Borana, Argoba, Guragae, Oromo, and more). Pray for recruitment of excellent teachers to serve at Bingham Academy with a passion for making disciples among students and advancing missions outreach. Pray for church planting movements among animistic pastoralists (Bunna, Hamar, Dassanech, Kwegu, Bodi, Gumoz, Mursi, and others). Pray for teaching, disciple-making, and mentoring initiatives in Orthodox communities. Pray for effective disciple-making initiatives in urban contexts.